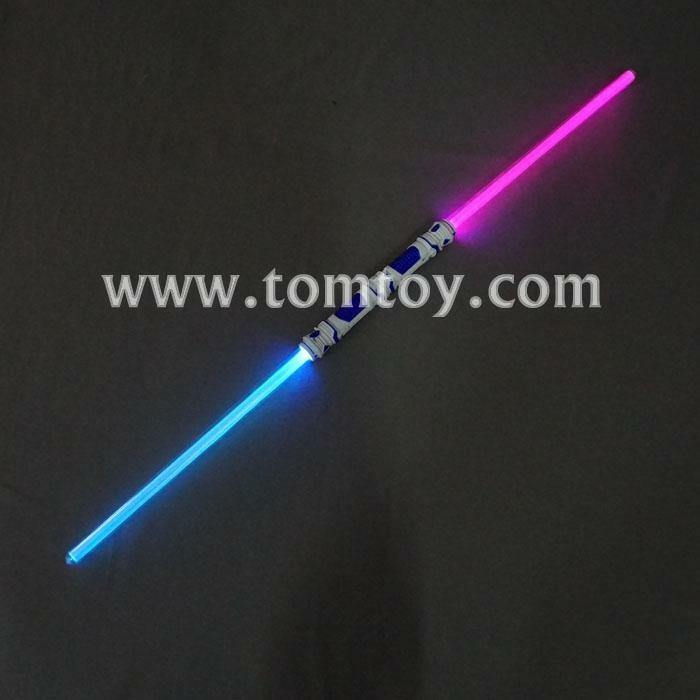 1.This Double Light Saber sword from Tomtoy is over 42 inches long, with blinking multi-colored LED lights inside the mate-white tube. 2.Lights shimmer when you swing the sword with a choice of six animated modes. 3.Great asset for your roll-playing games and parties. A favorite at raves, concerts and parties. Kids and adults go nuts over these. 4.Light-up Modes: Fast multi-color flashing; Slow, gradual color changing; Solid multi-color; Blue flashing; Red flashing; Green flashing.